I said this in more than one thread. It’s time for law and order leadership in our state, county, and nation. Whenever we back off due to fiances or political correctness when dealing with crime, crime goes up! What did you think would happen when the prison doors opened up prematurely for people that have yet to fully repay society for their crimes? Did you think they would all go back to school or get a job and become productive members of society? No! they will come to the happiest place on earth with the best weather to live and proceed with their criminal ways. And that is what is happening. 37 years living in Morro Bay and I never have seen this many break ins in this town. Too dang bad…it really is. Do your job Governor Brown and protect and serve the citizens…the law abiding citizens. Keep the thugs locked up! NO EARLY PAROLE! So how much of a tax increase are you willing to pay to fund a whole bunch of new prisons and keep people in them at $45K per inmate (or whatever the current figure is)? We have numerous problems but your solutions haven’t worked well either. Maybe we should be looking at other ways to deal with those causing the problems starting with not criminalizing minor societal offenses and funding real rehabilitation programs for first offenders for the less serious crimes instead of sending them to graduate schools for criminals (aka prison). No one is in prison for “minor societal offenses”, if you can produce an example I will rescind my comments. As far as the tax question is concerned… you’re right I don’t like tax increases except for tax increases that aid government in abiding by their first duty. To protect and defend the citizenry. You mean that no ones’ in prison for, say pot? You are more correct than not in your assertion. I should have said jail not prison. But there are still people in prison because they have not learned from previous errors and have 3 strikes — sometimes for low level felony theft. There are also people there because they couldn’t afford or get competent legal help to fight trumped-up (What an appropriate use of the word “trump”! ), exaggerated charges or multiple charges when only one really applied. Being poor in this county/state/country means big trouble if the legal system decides to come down on you (justified or not). “Blind” justice is too often an illusion and, worse, it is almost always biased against those with few or no financial resources. Okay everyone in prison is innocent…Give me a break. As far as Lynch is concerned it was a failure of our county sheriff that allowed the feds to make an arrest involving medical marijuana sales in his county. The County sheriff is the top law enforcement officer in the county and has jurisdiction over the feds…if he wishes to assert that authority. Our sheriff chose to allow the feds to over ride the vote of the people in California. But that wouldn’t have saved Lynch. Lynch was reckless knowing the sheriff’s stance and given the situation at the time; and he suffered for it. His employee that was unregistered and was selling pot to people that had not been seen by a doctor and given a prescription to purchase marijuana. He broke the law. And so did 99.9% of people incarcerated today. If you want to release all of the drug dealers from our prisons, do me a favor; release them into your neighborhood not mine. Damn right! We should never back off due to fiancés! My fiancé keeps telling me to mow the lawn, but I just say no! This ranks in the top 5 of the most dangerous surveys taken in California. This study compares basis its comparison on a per-100,000 population when some of the cities don’t have 100,000 residents! That’s not a comparison – that’s comparing averages to extrapolation. For instance, El Monte (#215) is ranked safer than Morro Bay (#236), but Morro Bay has 105,704 fewer residents. Based on the study’s methodology, El Monte has 287 violent crimes (per 1000K) and Morro Bay has 475 (per 100K). But wait, Morro Bay’s population is only 10,516, so what the study does is multiply the number of actual crimes by the multiple it would take to get the population to 100,000. In reality, the actual numbers are more like: El Monte = 333 violent crimes; Morro Bay = 47. Now which one looks safer? Talk about comparing apples to oranges. Their methodology is suspect but not in the way you describe. They did do those figures on a per capita basis in all cities. One suspects that they might not have taken into account things like students and tourists in the total population though which would skew those numbers. I see nothing about per-capita in the methodology section on the ValuePenguin website. The number of crimes is based on a per 100,000 population. How can you calculate the number of crimes per 100,000 people when there aren’t that many people in the city? Also, I think they did not factor the 20K Cal Poly students as part of the population. Additionally, California Men’s Colony falls within SLO, I am not sure if they excluded crimes committed on the prison premises. I know CMC causes havoc with other demographic and labor reports. Good for you for analyzing their methodology. I suspected as much. CMC is not in SLO. Cal Poly is not in SLO, though the kids who live in SLO are counted in SLO. Your “methodology” therefore seems flawed. CMC is listed as being within the boundaries of the City of SLO and does skew the raw data on some reporting. I have worked on multiple reports where we had to work around the CMC impact on the raw data. Cal Poly is not considered part of the City of SLO, however, the 20k+ students do have a major direct impact on all facets of SLO, including the crime rate. Self-proclaimed “Happiest place on earth” ranked 23rd least safe city in California. I meant happiest city in America. My bad. Fed up, Your racist theory destroyed, Imperial, which is located 15 miles north of the Mexican border, is the safest city in California. hummm. We know by illegal, you mean Mexican. Funny most of the local arrests made for a variety of crimes are white meth / drug addicts. But like every racist, I bet you claim not to be one, while citing your one Mexican co worker as an example of how non racist you are. Carry on with your hate. If Mexico and the people that live there are so great and everything is fine, then why are the people that live there trying to get the hell out of there? I can imagine that good people from Mexico would want to flee a bad environment. 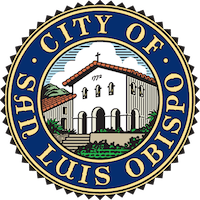 SLO may be ranked the 23rd least safe city in California, but that doesn’t mean the majority of SLO residents are criminals. If it gets bad enough there, I wouldn’t fault you or your character for wanting to leave. People who live in SLO know it’s not a safe place. Downtown’s a good place to avoid after about 9 p.m. Neighborhoods are plagued with horrendous increase of house and car break-ins. The police send out notices all the time on Nextdoor to be careful. Still the propagandists on the city council pretend none of this is happening, and scream and yell (Ashbaugh) at residents who try to call their attention to it. Very sad bunch we’ve got on the council. We need neighborhood representatives instead of business people running the city. LOL I have lived in downtown SLO for over 15 years, and I am quite pleased that you are saying to avoid downtown after 9pm. The nightlife in downtown SLO is quite pleasant and not dangerous at all, so please spread the word to the rest of the paranoid killjoys like yourself, so you and they don’t ruin the nightlife for the rest of us. I encourage you to go one step further and actually move out of the county – it sounds like it is far too dangerous here for your fragile existence. Let’s face it… we need more jails and more panga boats. and why would that be-drugs? More likely a badly conceived study that looks at too short a time frame or doesn’t take enough relevant factors into account.